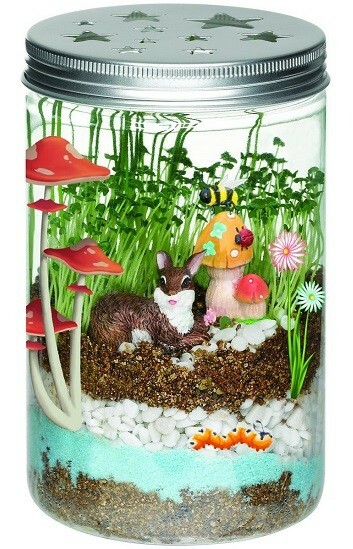 A terrarium is a miniature garden in a simulated natural environment. The Grow 'n' Glow Terrarium from Faber and Castell's Creativity for Kids line is a complete kit for helping kids to create their very own miniature eco-system. It's so easy! You just assemble, decorate, water and watch it grow! It's a fun way to teach kids about botany, eco-systems and the life cycle of plants. 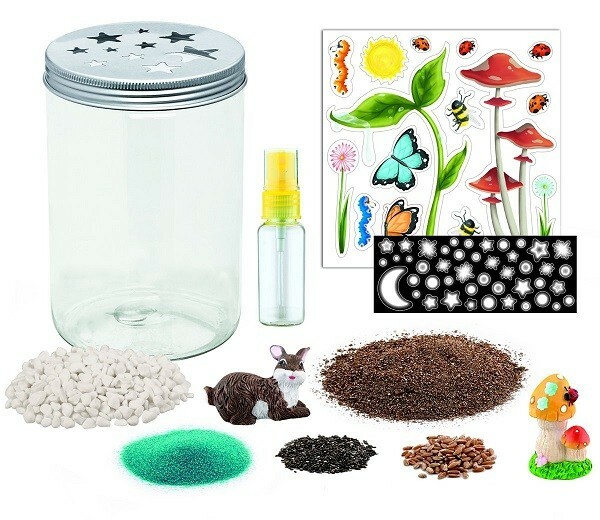 After assembly, there are delightful garden stickers and glow-in-the-dark stars to embellish your terrarium further. 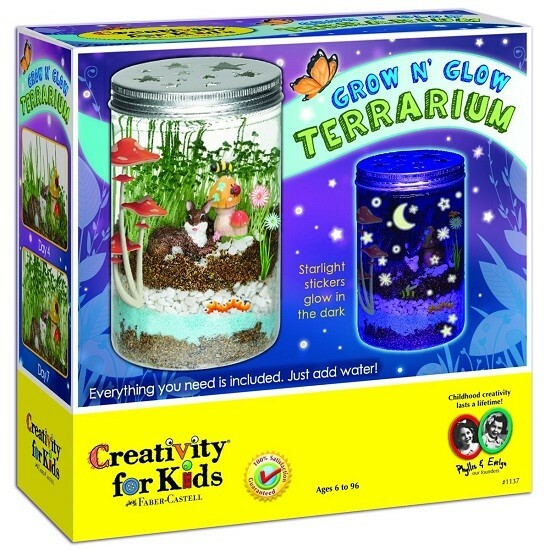 During the day, when the terrarium is in full light, it soaks up light for the plants and also soaks up light in the glow stickers. Then at night the stickers will glow and it looks like an enchanted little lightning bug house! Everything you need is included for 2 full planting life-cycles, so you can plant your terrarium and watch it grow, then do it all again in a month or so, depending upon how long your plants thrive.